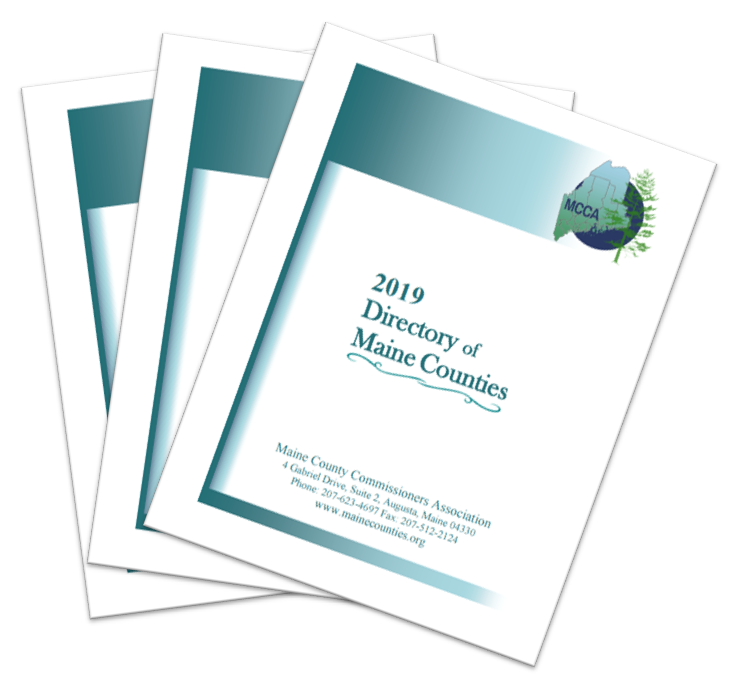 Place your advertisement in the 2019 Directory of Maine Counties! ​The Directory of Maine Counties is an annual publication including information and contact numbers for county commissioners, other county employees, the Maine congressional delegation, Maine State Government, Maine Senators and Representatives, and more. Copies are distributed to Maine counties, handed out at events, given to legislators and mailed to interested parties by request. Although the Directory is printed at the end of January to be used throughout the year, the online pdf document continues to be updated on the MCCA website and is free to all website visitors. Thousands of people view the website every week. In 2018, for the very first time, we invited our vendors to place an advertisement in the Directory of Maine Counties! The project was quite successful so we decided to make it an annual offering. You can place an advertisement which will be seen daily by county officials, legislators and others who use the Directory as a point of reference or visit our website. Additionally, your support will help us to continue producing this free and beneficial resource. Please place your order by January 31st for inclusion in this issue. Copies will be distributed at the beginning of February. Call Lauren with questions 207-623-4697. ​​Please click on the button to the right to see the approximate ad dimensions. ​Prices include print and online version of the Directory! ​ Lauren your artwork at lauren.haven@mainecounties.org. Please note the online option shows a slight increase because the payment processor charges 2.9%+30 cents for the transaction. MCCA, 4 Gabriel Drive Suite 2, Augusta, Maine 04330. Order Your Ad Here if You're Paying by Check. Would you like to download a paper form instead? Sure! ​or save the advertising order form.